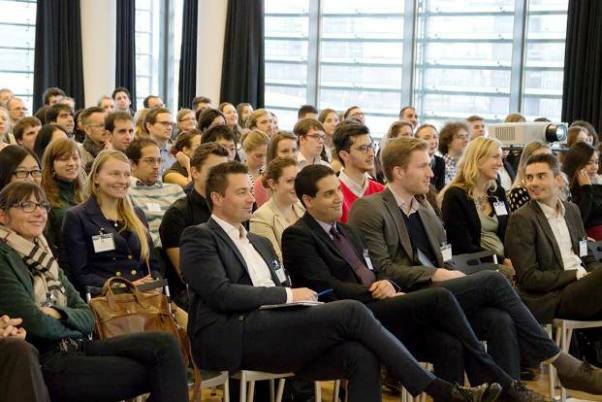 Sandra (holding microphone) at Denmark’s National Youth Goodwill Ambassadors Conference in November 2013. Sandra Kostadinova comes from Shtip, Macedonia. She finished high school in her hometown and after that she enrolled at the Department of English Language and LiteratureBlaze Koneski Faculty of Philology at the in Skopje. After completing her undergraduate studies she decided to broaden her horizons and look for a more challenging Master’s program that will offer her even more profound knowledge in Languages. Since the programs offered at her alma mater didn’t really cover her interests she decided to apply for a program somewhere abroad. She was luckily accepted to the program Cognitive Semiotics at Aarhus University in Denmark, and this week here is a word from Sandra herself. She has answered a few questions for Mladiinfo! 1. 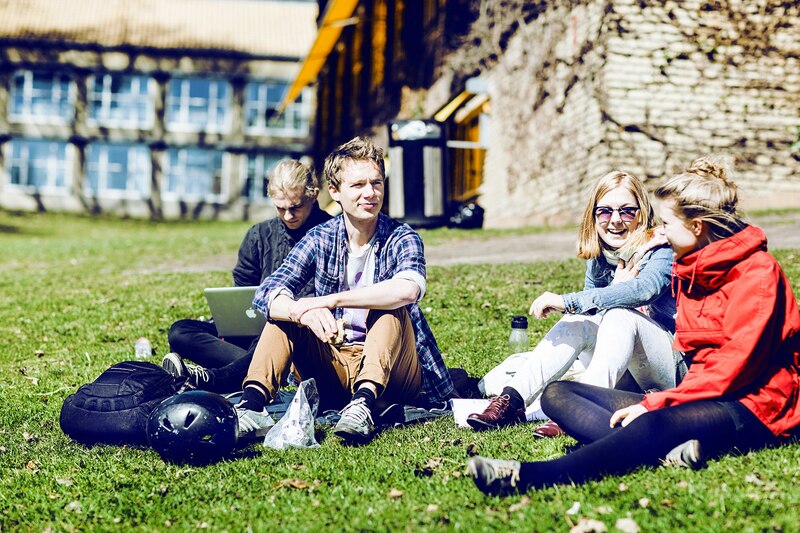 You were accepted to study in Aarhus, Denmark. How do you like the country? What are the good things and the bad things? After the initial shock of high prices, high humidity and daily rain, I settled into a daily routine and I must say that I like it here a lot. Aarhus, which is located in Mid Jutland, has plenty to offer: beaches, forests, lakes, and parks that make it difficult to stay inside. People are always on the move and doing things outdoors, despite the weather. There’s a saying in Aarhus: “Don’t complain about the weather. It’ll change in a minute.” It is a very young and vibrant city, filled with cultural events. What I like most is the way people take care of not only themselves and their well-being, but also of each other. The bad thing is: IT RAINS ALL THE TIME. Telenor Denmark’s CEO Marek Slacik (first row, second from left) addressed the conference as keynote speaker. 2. How is Denmark different than Macedonia? Can you possibly draw a parallel and make a comparison among the two educational systems? Denmark goes hand-in-hand with the adjective “sustainable.” People are very conscious about what they do on a daily basis and how that impacts the environment. They buy organic, they recycle, they are avid secondhand buyers. I believe the whole green living movement in Macedonia is quite young, but making progress. Danes rely mostly on bicycles as a means of transportation, while on the other side Macedonians prefer cars. I am a cyclist now and very proud of it. As for the education, the systems are diametrical opposites. The responsibility of doing the work and required readings/presentations/group work in Denmark is the student’s and student’s alone. The material is overwhelming, but it covers the latest developments of the field and the student is free to do individual research as well. Professors are open to help and give feedback at all times; their doors are always open to assist students in any way. The best part is that the lectures are just a small fragment of the educational process. Most of the work is done on our own and in our study groups. Also there are conferences going on quite often, which we are able to attend for free as students. Their grading system is also different than ours. The highest grade is 12 and lowest -3. Unlike at my home university, the exams are not stressful at all. Since the student has covered all the materials during the semester through presentations and group work, exams are there only to solidify the overall success. Some exams are oral and others are written, but with the difference that you are provided the exam question and you have seven days to elaborate on your answer and turn it in as a paper. 3. And what is on your reading list as a Cognitive Semiotics student? My field of study is interdisciplinary, covering linguistics, psychology and neuroscience. Its main goal is to understand how meaning is created in language, in thought and also in perception. On the reading list we cover everything from Lakoff, to Tomasello, to Fauconnier. I am mostly interested in Social Cognition, especially linguistic alignment, and eventually I would like to get into research. 4. In your opinion, why do you think Denmark is the happiest nation in the world? Denmark has been ranked for several years as the world’s happiest nation based on GDP, freedom of choice, life expectancy and the like. I have lived in several countries before, including the USA and the Russian Federation, and I have to point out that Denmark really stands out. I believe it is at such a high degree because of the way the government takes care of its people, by means of free health care, free education and stipends that each Danish student receives, but mostly it is due to the way they are brought up. They are taught to explore and they are given freedom. Not only are they not afraid to speak their mind, but they are encouraged to do so. Most importantly, they are always relaxed. They might not be the most warm-hearted of people, but they are always nice and polite. Except when you don’t signal when you make a turn or don’t place the divider after your groceries which is the only time you will get some irritated sighs. Sandra helped make a branding video about Aarhus, the Danish “City of Smiles,” through YGA. 5. You also applied, and not that you just applied, but also became a Youth Goodwill Ambassador of Denmark. Can you share something more about this? What is your job as a YGA? The YGA Corps is founded by Copenhagen Capacity, Wonderful Copenhagen and the Danish Agency for Universities and Internationalisation. It is an organisation that not only brings international talent together, but is a great platform to network and get to know Danish society and its working environment. Just recently, I attended my first YGA National Conference where we had the privilege to meet Telenor’s CEO for Denmark, Marek Slacik. Currently I am working on developing a project that will take place in Macedonia in 2014, which I believe will bring Denmark and Macedonia closer together. As a YGA, I help brand Denmark as an attractive study destination. Just recently, I was part of a team of talented young internationals who also attend Aarhus University, and we created a branding video about Aarhus (known as the City of Smiles). I am proud to say it is shared on social media a lot.